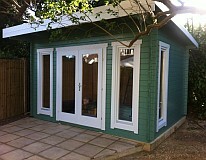 A Garden room offers fantastic flexible working and living space. 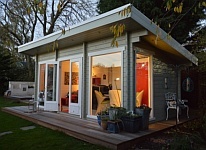 The perfect garden escape. 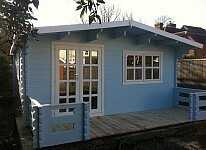 Below we have an example of a bespoke log cabin with shower room. 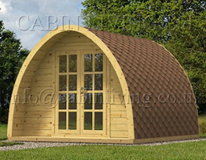 Flexible living space ideal as a cabin bedroom, sauna cabin or hot tub room. 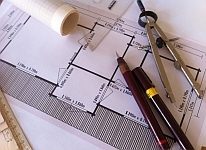 Under-floor heating and cosy interiors. 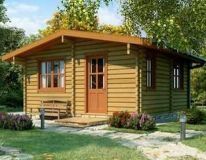 A romantic retreat or log home. 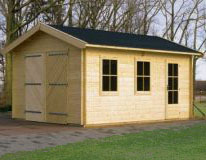 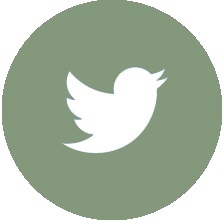 Our range of log cabins are supplied with free delivery in the UK. 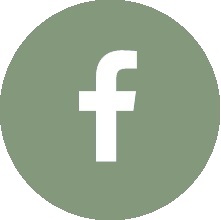 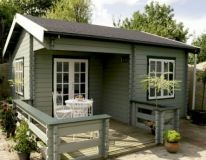 We have supplied and built a number of garden log cabins in Central London, Surrey, Sussex, Southampton, Swindon, Felixstowe, Oxford, Manchester, Blackpool, Southport and areas of Scotland including Dunfermline, Edinburgh, Glasgow, Nethybridge, Kirkintilloch, Stirling and Bishopbriggs. 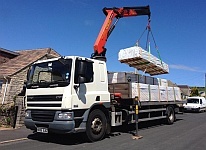 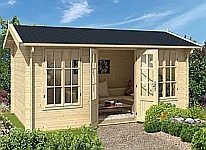 To make your Garden Office more user friendly throughout the seasons it is recommended that you insulate the roof and floor which accounts for 70% of the heat loss from your log cabin. 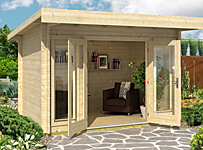 Clearly choosing a garden office with double glazing and a wall thickness of at least 34mm will also improve the thermal performance that is why our garden office range is focussed on log cabins of at least this wall thickness. 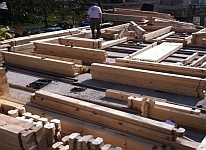 We offer a range of installation options to upgrade both new and existing log cabins.